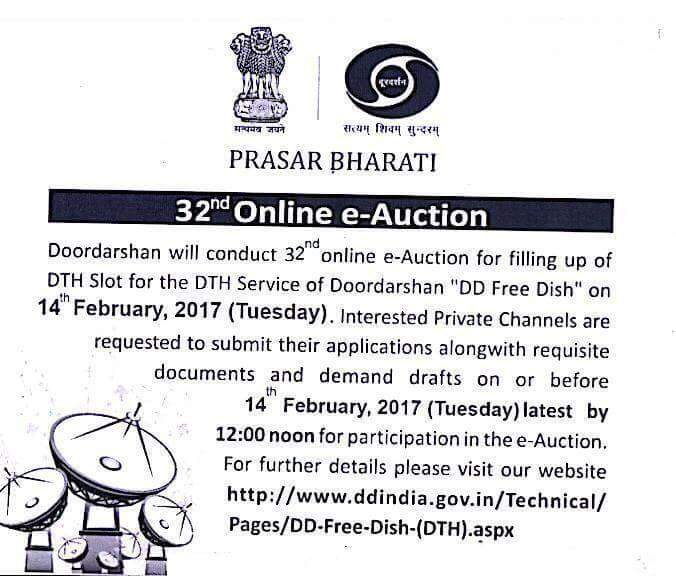 Browse » Home » e-auction » DOORDARSHAN GOING TO ORGANIZE 32nd E-AUCTION ON 14th February ! DOORDARSHAN GOING TO ORGANIZE 32nd E-AUCTION ON 14th February ! Buoyed by the interest from private broadcasters targeting rural hinterland, Doordarshan has hiked the reserve price for slots on its free direct-to-home (DTH) platform Freedish to Rs 4.8 crore from Rs 4.3 crore. 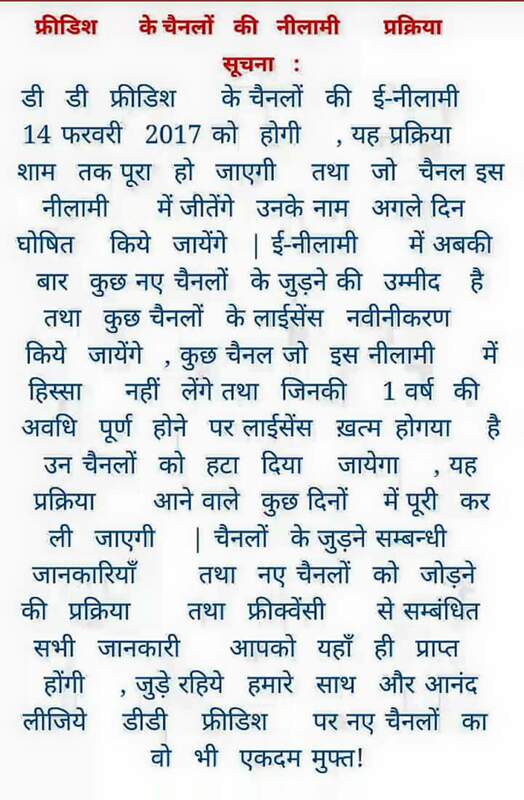 The last date for submission of complete application is 14 February 12 pm. The pubcaster will hold the 32nd e-auction for vacant slot on Freedish on 14 February. I am not getting Sankara tv and zee Tamil, makkal tolaikkatchi channels even after setting as per the advises given.